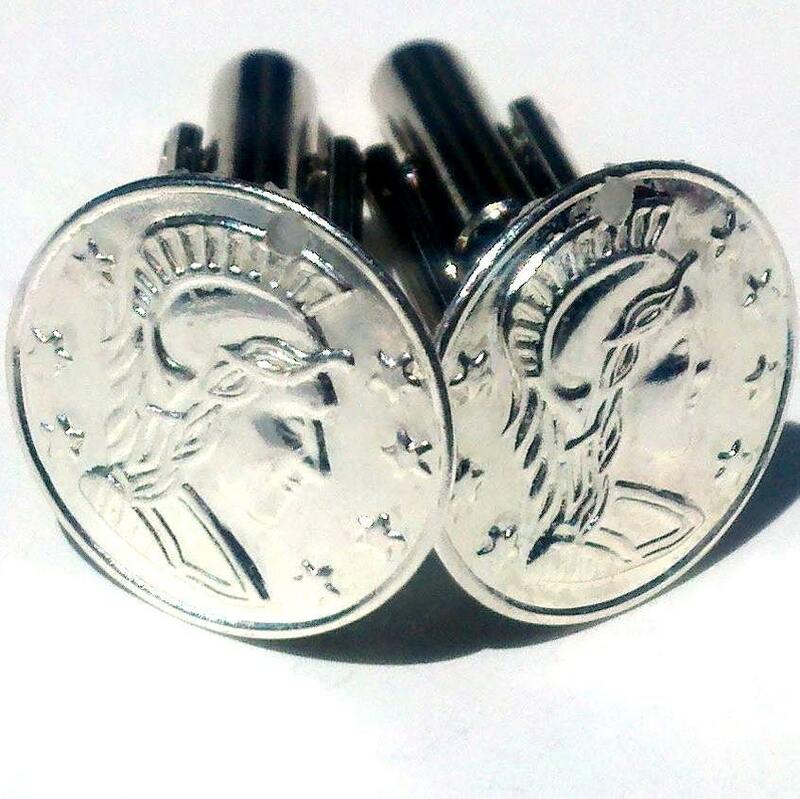 Secure your cuffs uniquely using this set of cuff links with silver faux Roman coin charms. The diameter of each coin is 1/2" (1.4 cm). This item ships free within the US with any other accessory in my shop. Also see coordinating items in my shop, including a tie tack, and bracelets and stitch markers.